Once again, I turned to Goodreads to review my lower-starred books to see what I didn’t love that others did. I don’t have many one-star books, although “The Corrections” by Jonathan Franzen is one. I tried to listen to it on audio and was very turned off and disturbed by it immediately so I couldn’t even attempt a finish. That was a long time ago. And I don’t know anyone who loves that book, although I’m sure that people do. Other books that I gave three-stars to that I think others loved more than me (my three-stars means I liked it – not a great book in my eyes) would include “Lovely Bones” and “The Secret Life of Bees.” I am probably going to re-read “The Secret Life of Bees,” because it is on my nephew’s 9th grade English syllabus and I’d like to read it with him, and maybe I’ll have a different reaction this time. I listened to this on audio, and sometimes that is a very different experience than reading the book. I may have been distracted during my commute by things going on at home or at work and so I didn’t give the book my full attention. I’ll try it again. #31 on my list was: Buy a good bra. Yes, up until this time, I did my lingerie shopping at Target. Nothing wrong with that, I’m sure, but I hadn’t had a proper fitting in ages, so I took myself to Victoria’s Secret and bought a few bras that actually fit good. Last fall I hosted a bra party with a friend from Preston, and so there were bra fittings going on upstairs in my house! It was a blast and that bra is amazing (and should be for the price!). I wasn’t quite sure what Boof meant when she chose this topic – a book that makes a sensation when published? a book that has a storyline so sensational that you can’t believe it? a book everyone is talking about? Well I’m pretty sure this is what Boof meant, as I’ve seen her talk about some of these books and she is British, and I’m also pretty sure that I haven’t read any books of this type. There was a list of books in this genre and the closest to anything I’ve ever read was “Great Expectations,” except I haven’t read it. I’ve read Charles Dickens. 🙂 Crime fiction is not my favorite type of fiction and I don’t read too many books written pre-1900. 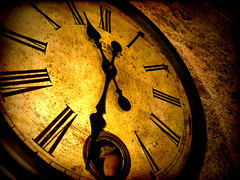 One book that I loved (that doesn’t fit this in the true sense of the term or at all, really) was “Time and Again” by Jack Finney – a story about time travel to New York City – 1880. Goodreads summary: First published in 1970, this highly original cult classic tells the story of Simon Morley, a young Manhattan illustrator who is selected by a secret government agency–presumably to test Einstein’s theory that the past actually co-exists with the present–and finds himself suddenly transported back to the New York of the 1880s. Written with style and elegance, this bold, visionary novel provides “Mind-boggling, imagination-stretching, exciting, romantic entertainment.”– San Francisco Examiner. I loved this book and was excited when the sequel was written in 1995. I believe I have that one on my bookshelves. 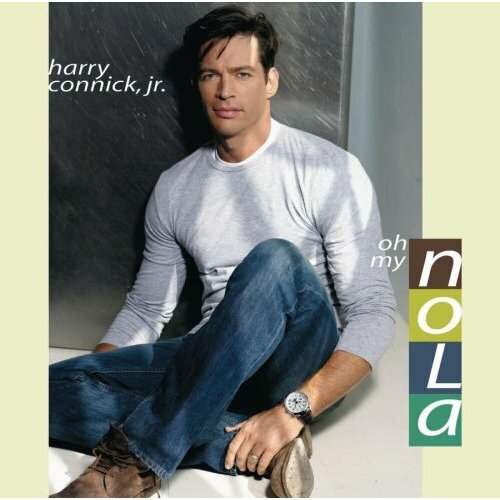 #30 on my list of 40 things was: Go to see Harry Connick Jr. in concert, which I did on April 5, 2007! Deadra and I both have loved Harry Connick, Jr. since his early days – his music and his goofy acting career. Will and Grace – loved it! Hope Floats – how fun! When Harry Met Sally music – superb! I have a LOT of his albums so was glad that he toured during the time that I was working on this list and we were able to see him at the Orpheum in Mpls. Good times with good friends and good music. 40 Things (28) – I am so unoriginal in these titles! #28 on my list was: Get a new passport. 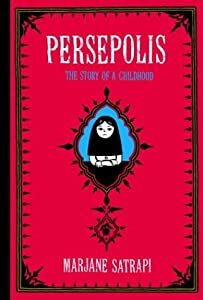 Goodreads Summary of Persepolis: Wise, funny, and heartbreaking, Persepolis is Marjane Satrapi’s memoir of growing up in Iran during the Islamic Revolution. In powerful black-and-white comic strip images, Satrapi tells the story of her life in Tehran from ages six to fourteen, years that saw the overthrow of the Shah’s regime, the triumph of the Islamic Revolution, and the devastating effects of war with Iraq. The intelligent and outspoken only child of committed Marxists and the great-granddaughter of one of Iran’s last emperors, Marjane bears witness to a childhood uniquely entwined with the history of her country. Following along with Boof’s 40 Day Challenge leading up to her 40th birthday, day 27! I have been following The Satellite Sisters for more than ten years now – through their weekly radio show turned daily radio show, turned daily podcast, turned weekly podcast; through their articles in O Magazine and through their blogs, and most recently through one of them publishing a novel. Ten years ago for Christmas I got their book ‘The Satellite Sisters: Uncommon Senses’ which was (and still is) such a great book. It’s the lessons they learned growing up in a large family (8 kids) on the east coast. The lessons were many and still hold true today. I believe they are possibly re-releasing the book or some incarnation of it and if they do, it will be a gift I will give to friends. 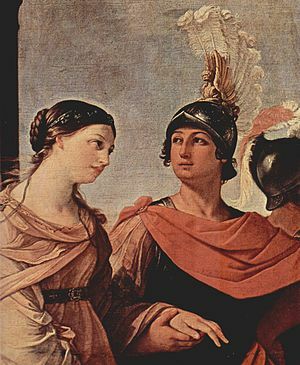 One of the sisters, Lian, published her novel “Helen of Pasadena,” last December and it is a really great book, too! I drove to Edina on a cold cold evening in December to hear her speak and get some books signed for gifts. What fun to meet a “sister” in person. I feel like they are all friends of mine! Goodness. Once again, I had to look to Goodreads to find a list of science fiction books to see if I’ve read any! It’s not my thing, I guess, but a few came up that I have read. I loved “A Wrinkle in Time” as a youngster and tried to re-read it as an adult but found it weird. I read “The Giver,” and didn’t care for it – too spooky. I enjoyed “Her Fearful Symmetry” lots more than “The Time Traveler’s Wife,” and are they considered science fiction? “Her Fearful Symmetry” is a ghost story – certainly not realistic fiction – and would be my pick as favorite. 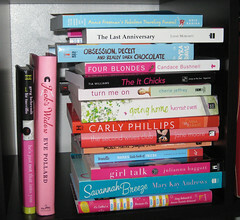 Do Chick Lit books have to be pink? I do love me some chicklit! To answer this question I first looked up a definition of chicklit. #25 on my list of things to do was to Go to the Trempeleau Hotel for an outdoor concert. The Trempeleau Hotel is in the small town of Trempeleau along the Mississippi River. There is a lawn where they hold outdoor concerts in the summer and Beth and I were able to take in a concert there. I think it was the summer of 2008, but for the life of me I can’t remember who we saw! It’ll come to me (or Beth will remember). We brought our own lawn chairs and had yummy food and drink in the late summer evening. It was a great time. I am a pretty slow reader, as a rule. I think a big reason why it takes time for me to get through a book is that I am a) distracted by other things to read, and b) enjoying every word in a book. I can’t skim or speed read. I immerse myself in words. 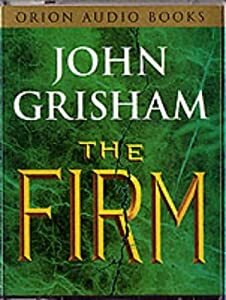 I remember reading “The Firm” by Grisham in my early 20s. I had just started my first job out of college and still loved to stay up late and dreaded early mornings. I read that book in one weekend day, staying up until 4:30 am to finish it, because I knew that if I didn’t devour it it would leak into my week and cause sleeplessness. I always look forward to reading but it isn’t every book that I read that causes that feeling of happy anticipation at the thought of crawling into bed and reading THAT BOOK. If you look at my Goodreads list, I believe that every book I rated five stars gave me that feeling. It stuck with me all day, making chores easier to bear, bringing a smile. Recently, “Attachments” made me feel that way. Last summer I devoured “The Girl Who…” books. New Year’s Eve is one of those “coupley” holidays that I sometimes dread. There’s also that great expectation that it’s going to be a spectacular and memorable evening! I’ve hosted some NYE parties that were a blast and some that were ok. I’ve gone to movies alone, returning home just in time for the Rockin’ New Year’s Eve shows. I’ve rented movies and stayed home. I’ve gone to parties and had a good time. I’ve gone to see “Dueling Pianos” and drank Jaegermeister from the bottle. I LOVED this book! And how perfect that I finished it late last night (an UNPUTDOWNABLE?) and today I can post a few words for Words and Peace’s “I Love France” meme! Elizabeth Bard was an American living/working/studying in England when she saw a man at an academic conference and on the last day exchanged emails with him, which led to a flurry of flirty emails and eventually a weekend trip to Paris for a lunch date. This book chronicles their life together – from this first date – and tells the story through food. This book is quite like another book I love – Molly Wizenberg’s “A Homemade Life” – which owns space on my cookbook shelf. Early on in “Lunch in Paris,” (after I started dog-earing recipes that I wanted to try in chapter one, chapter two, etc.) I realized that I would be purchasing this book for the same reason. Individual Molten Chocolate Cakes, Mamy Simone’s Tabouleh, Eggplant Stuffed with Quinoa, Lemon Sorbet and Vodka (inspired! )… the list goes on and on. Some of the recipes look a little complicated but most simply enhance the flavors of whatever is being served (wild boar or haricot verts – I love haricot verts!). 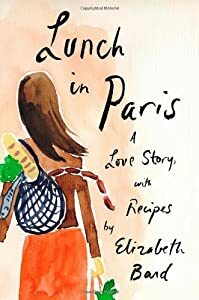 Elizabeth Bard is able to simply and beautifully write about what it means to be an American living in France. I don’t even know what else to say about that! She writes eloquently about what it’s like to have parents in US who wonder what she’s getting herself into, cultural expectations of Americans and French, how cultural differences impact relationships and attitudes towards work and happiness. It is an excellent little book filled with intelligent insights. 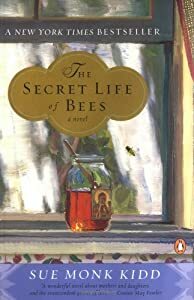 Adriana Trigiani (one of my favorite authors) has a blurb on the back that says “It’s Eat, Stay, Love with a side of spiced apricots.” I thought about that as I read the book. One of my pet peeves is when people set out to do something amazing with the sole intention of writing a book at the completion of the amazing feat. It feels contrived and unnatural. I felt that way about “Eat, Pray, Love” and “The Happiness Project.” I didn’t feel that way about this book at all. And in the last chapter she writes about how the “cookbook” idea came to be – during a New Year’s Eve feast that lasted for eight hours. Yes, they stopped eating at around 4AM. Can you imagine? 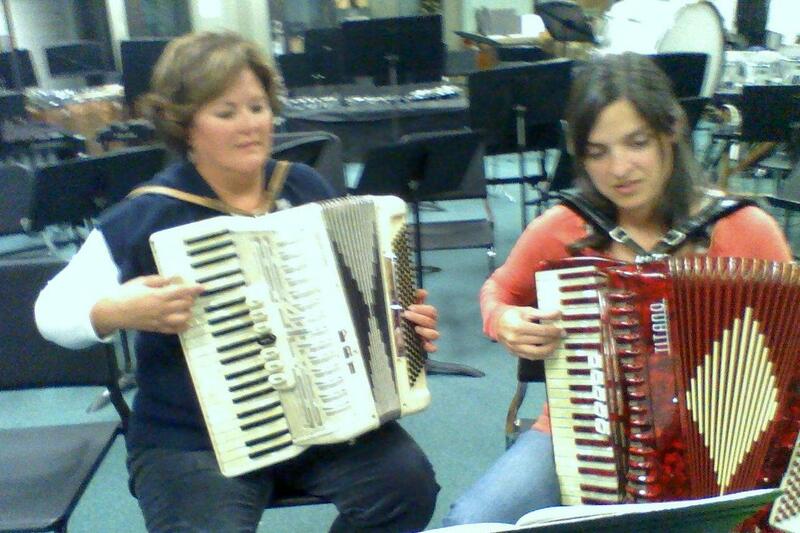 Each hour a new course was brought out to be savored and enjoyed. This book is a joy. Savor it.